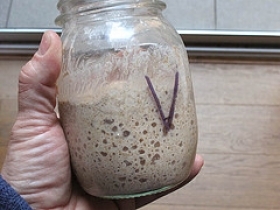 Have you made Biga (Universal Starter)? 1. Recipe by: Carol Field - The Italian Baker Stir the yeast into the warm water and let stand until creamy, about 10 minutes. 2. 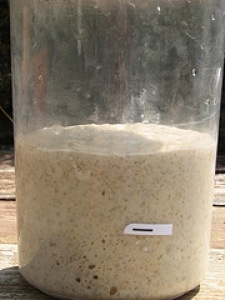 Stir in the remaining water and then the flour, 1 cup at a time. 3. Mix with a wooden spoon for about 3 to 4 minutes. 4. Remove to a lightly oiled bowl, cover with plastic wrap, and let rise at a cool room temperature for 6 to 24 hours. 5. 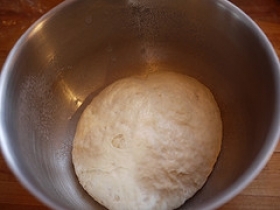 The starter will triple in volume and still be wet and sticky when ready. 6. Cover and refrigerate until ready to use. When needed, scoop out desired amount.